Ladies and gentlemen, the band who invented post-punk. Even in a magazine stuffed to the masthead with cult concerns, Wire remain a cult band par excellence. It may be almost 40 years since the London quartet’s debut album, Pink Flag, took the white heat of the capital’s punk scene and forged it into something malleable and cold, but the group’s legacy and influence stands measure to most from that most fertile of playgrounds (Johnny Marr cites one of the band’s live performances in recent times as giving him the confidence to release his own solo album, for example). 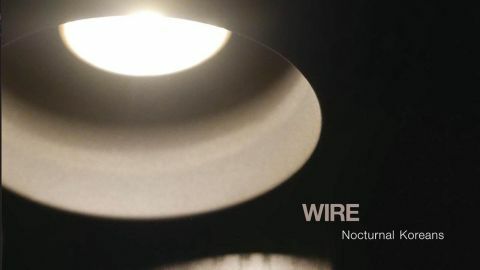 But as with many a cult act, Wire’s legacy stands in inverse proportion to their commercial profile, a fact that Nocturnal Koreans is unlikely to change. Never mind, though, because at its best this reassuringly svelte and only occasionally sparse eight-track EP is a thing of beauty. Songs such as the spacious Pilgrim Trade and the frankly unsettling Forward Position show that this is band for whom the well of creativity is yet to run dry. Most impressive of all, however, is the gorgeous Still, a national anthem based around a minor key and written using only three chords. Brilliant.